To start off, I had another great week this week. Every day I spend at the clinic I become more and more excited about the work that is being done and more and more convinced that it is work that I want to be a part of. There is a lot of work to be done, and the days tend to start early and end late, but I am truly loving every minute of it. One of the things that I had decided that I really wanted to do while in Africa was to visit Burundi’s northern neighbour: Rwanda. The Global Health Corps fellows have a mid-year retreat in Rwanda and were all heading to Kigali on January 20th, so it had seemed like a perfect time to go for a weekend. When I first thought of this, I contacted a friend of a friend who lives in Rwanda to see if it would be a good weekend to come and visit, but unfortunately the timing didn’t work for her. At that point I had dropped the idea and resolved to find another opportunity to go before heading back to Canada in March. So fast forward to Wednesday afternoon, when I was talking to Jess, an amazing girl from San Fransisco who has been at the clinic for 14 months now and who has taken on the role of my Kirundi teacher: umwigisha. Kirundi is neat, teacher is umwigisha and student is umwigishwa. One letter changes the whole meaning of the word! I have a LONG way to go, but think it is really important to learn the language, especially if I want to stay in Burundi for a while. Jess is somewhat of a local celebrity as there aren’t many mzungus around here who can speak fluent Kirundi! Jess and I were talking and it dawned upon me that as the only American working at the clinic who isn’t a GHC fellow, she would be alone in Kigutu when the fellows headed to Kigali to attend their mid-year retreat. I quickly asked if she wanted to go to Rwanda for the weekend and, thankfuly, she very quickly accepted! This all sounded like a great plan until we realised on Thursday morning that unlike Americans, Canadians need a visa to go to Rwanda; a visa that needs to be applied for 3 days in advance…and we had bus tickets for the following morning. I filled out the online application right away and sent an email to the Rwandan embassy asking if it was possible to expedite the process. I had also planned on going to the Rwandan embassy in Bujumbura, but as often happens, the ambulance was late leaving the clinic and we didn’t get back into town until after the embassy had closed. We debated what to do and in the end decided to take a chance and get on the bus on Friday morning. Worst case scenario, we would explore Northern Burundi together if I got turned around at the border. For all of you who know me well – this is a big deal! The old me would have never boarded that bus! So we got to the border and sure enough I was told no visa; no entry. I explained my situation, told them that I really wanted to visit their country, and listened as the GHC fellows tried to persuade the border guards that I was part of their group and as such should be allowed to pass, but all to no avail. I finally got somewhere when I told them that I had applied for a visa and that maybe if they looked me up in the system something would be there. Of course, to do that they needed my tracking number, and of course, it hadn’t occured to me that the logical thing to do would have been to write my tracking number down and bring it with me. After a pooling of resources, we were able to get a laptop, a power cable, and a leo internet stick. My hope at this point was that with my tracking number, which I had in an email to the embassy, they would be able to phone the embassy and push the visa through. The result was even better: when I finally got the internet connected and my email opened, a visa acceptance letter was waiting in my inbox! Over an hour after this process started, I had a legit visa and was allowed through! I had a really great weekend in Rwanda – very low key and relaxing. We had a huge buffet lunch (courtesy of GHC) on Friday afternoon, so opted to skip dinner and headed to the Nakumatt (Kigali Walmart-esque shopping centre) instead. We ended up with a baguette, a box of Cambembert, a bottle of wine and a deck of cards. Jess and I had such a great evening in our hotel room that we ended up doing the same thing on Saturday night. I have to say that when Amy and I visited Lusaka in May we weren’t overly excited about visiting the “mall”, but I now understand the excitement of seeing a store with western things and lights on the ceiling and displayed prices and electronic cash registers. On Saturday we walked all around Kigali – it has such a different feel from Bujumbura. We even went to Hotel Milles Collines (Hotel Rwanda) but I wasn’t brave enough to be a tourist and get a picture taken at the hotel entrance and so I have no photographic evidence that I was there. In fact, I didn’t take a single picture in Rwanda, which I don’t regret. It was great to just be there and take it all in. 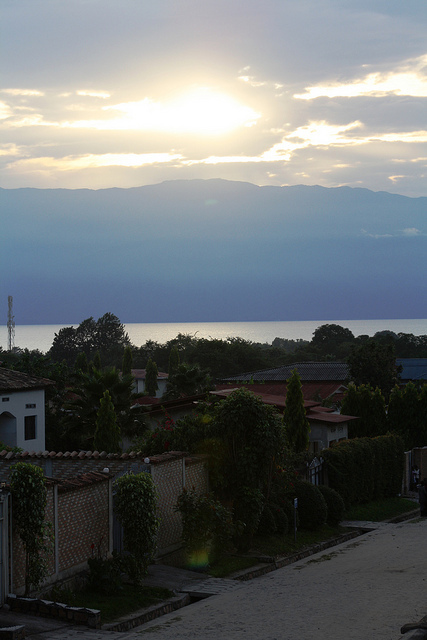 I do hope to get back to Rwanda in the coming months – maybe I will be more of a tourist next time. Final random thought for the week: Canada needs to be introduced to “African coffee” – it is so amazing! It is basically coffee made with chocolate (optional) and ginger; lots of ginger. My new favorite beverage. In fact, I’m drinking one now! Alright…I’ve exceeded 1000 words…so I should probably end this post by saying thank you to everyone who is still reading: Murakoze! Until next time! Read more about Village Health Works.